This, and other pertinent information regarding the site, can be found on the Important Info page. Make sure to give it a read. On another, similar, note: we encourage you to make some Shitfarts stickers which is why we provided the cool .doc template for you to print your own at home. We forgot to tell you that, while we want to get the Shitfarts name out in the open, please be respectful of where you’re placing these stickers. On your laptop? Sure, sounds great. On the bibles at church? No, probably not so great. 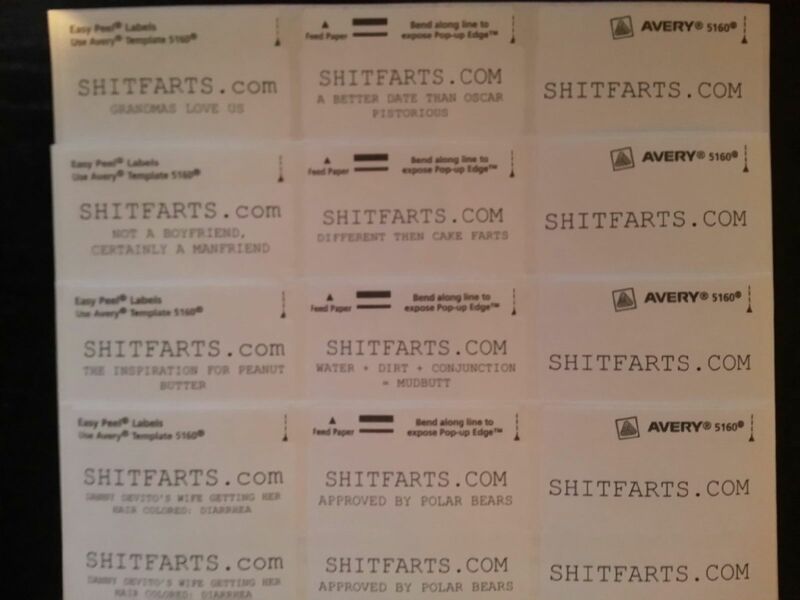 We don’t need people emailing WordPress complaining because they have to deal with Shitfarts stickers. So just think before you stick. Not to get too preachy on a blog about posting pictures of poop but the U.S. east coast got hammered pretty hard by Hurricane Sandy. If you’re able to donate, I’m sure the victims would appreciate it very much. While some of us made it through the storm relatively unscathed, there are a good amount of people that lost everything they owned in this storm. Consider most, or all, of your possessions being destroyed in a span of a few hours.